Israel is a country that provides visitors experiences in history, leisure and an overall good time for everyone on your trip. When you travel with a big family it is crucial to seek out places that will appeal to various types of ages and travel experiences. Caesarea and Jerusalem are two stops in Israel that will appeal to history lovers and provide an unforgettable experience for the younger members of your large family. Caesarea is most well known for its large tourist site on the Mediterranean coast, Caesarea National Park. This park is a large archaeological with breathtaking ruins that provide visitors a vast and comprehensive peek into ancient Roman times. The site boasts an intact amphitheater that is still used for concerts today as well as a full-size hippodrome. Walking amongst these timeless pillars and upon the mosaic floors, while hearing the waves of the nearby sea, it is easy to imagine Caesarea as a vibrant port city. There is an opportunity to view a short film in the visitor center and a fun virtual and interactive experience for anyone who wants to gather more information about Caesarea’s past. The film is available in many languages. Once the historic ruins have been explored, a leisurely stroll through the shops will entice anyone for a bite to eat at one of the seaside restaurants or cafés. Most of the restaurants have breathtaking views of the sea. There is also a small beach accessible to the public called Harbour Beach that may be a great place, especially for younger children, to combat the hot days. Located about an hour from Tel Aviv, Caesarea National Park is a half-day trip that is accessible all year round. It is a memorable experience that will provide an amazing sense of the rich history of Israel. One of the holiest cities in the world, a trip to Israel is not complete without the experience of Jerusalem. This unique city is steeped in vibrancy that captures the dynamic culture that is Israel. A city that hosts three of the major religious holy sites, this walled city is a constant hub of tourists along with people who live and work there every day. It is strongly recommended that unless you are experienced to navigate the old city of Jerusalem that you pre-book a private tour. 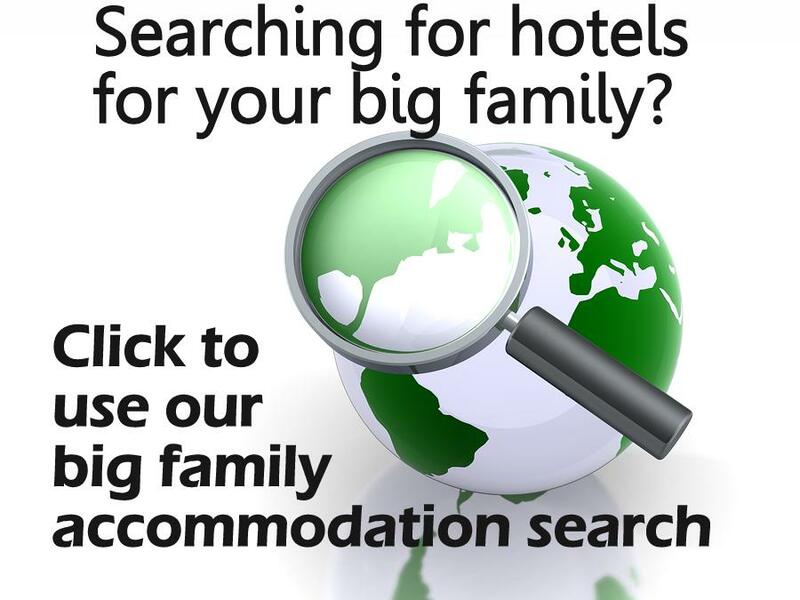 There are many tour companies who will pick your family up at any Tel Aviv hotel. The tour groups will ensure you and your family hit the highlights of this amazing city and customize the tour for all ages and accessibility needs. They will also take into account your own individual interests and arrange lunch at one of the restaurants. Traveling in the old city of Jerusalem is interesting with children because you want them to take away something from this magical place. We traveled with a tour company called Compass Travel Israel. Our English tour guide was prompt and took our group in a private chartered small bus that was clean and comfortable with air conditioning. There are many to choose from but we have used this company twice with excellent customer service. A slight mountain just outside the walls of the old city, its religious significance will be enough to draw some visitors. Yet the view alone is worth a stop. It is one of the few points of interest that have a panoramic view of the old city that will take your breath away at any time of day. Walk as many as you can. Arches, doorways that lead into inner and outer buildings can be a picture-worthy experience. Everywhere there is something to witness. The cobblestones streets draw visitors back to a time when you can almost hear the shopkeepers’ shouts and hooves of donkeys or horses echoing on the warmed stone streets. Fabulous art is everywhere in the old city. This particular painting caught our eye as the children could walk right up to it and seemingly be in the picture. Have them be on the lookout for something special. The church is a revered holy site and the main pilgrimage site for Christian of all denomination and full of artifacts. Located in the Christian and Muslim Quarters of the old city this unique market is a true labyrinth of alleyways and staircases selling everything from jewelry to scarves and ceramics. Tip – do not be afraid to negotiate on price. You can, of course, pay the full price, but often like any open-air market, there is some room for negotiation on most goods. The Wailing Wall is considered one of the holiest places in the city. People from all over the world of Jewish faith converge here to pray or witness. It is well worth a visit to view this timeless piece of history of the Jewish people. Men and women must visit the wall separately. It is customary to take a prayer or wish to the wall and place it between the stones. There are thousands of prayers here, you may wish to partake of the custom or not. In either case, it is something to be aware of with small children that the pieces of paper should not be touched. For those who on a religious pilgrimage here, it can be an emotionally charged space. Depending on your child, you may want to prepare them for that experience. Often people will walk backwards away from the wall. This is also customary to show respect but obviously not required. Caesarea and Jerusalem are both memorable stops when visiting Israel that will appeal to all members of your large family.